Since Marvel is rumored to be skipping Comic-Con this year, we must turn to the real heroes to bring us Marvel news: random people with cell phone cameras. Various local news sites, as well as ordinary citizens, have begun posting pictures from the Vancouver set of Deadpool, as collected by Comingsoon.net. Besides illuminating the all-seeing techno-surveillance state in which we now live, the photos appear to reveal that a scene featuring Deadpool fighting criminals in an SUV featured in some leaked test footage is being shot in live action for the feature. The film, as implied by the title, features one of the cheekiest, most fourth-wall-breakingest in Marvel’s stable of wisecracking anti-heroes, Deadpool. Since this is a Marvel movie, it will be an origin story about how former Special Forces operative-turned-mercenary Wade Wilson gains accelerated healing powers and adopts his alter ego. 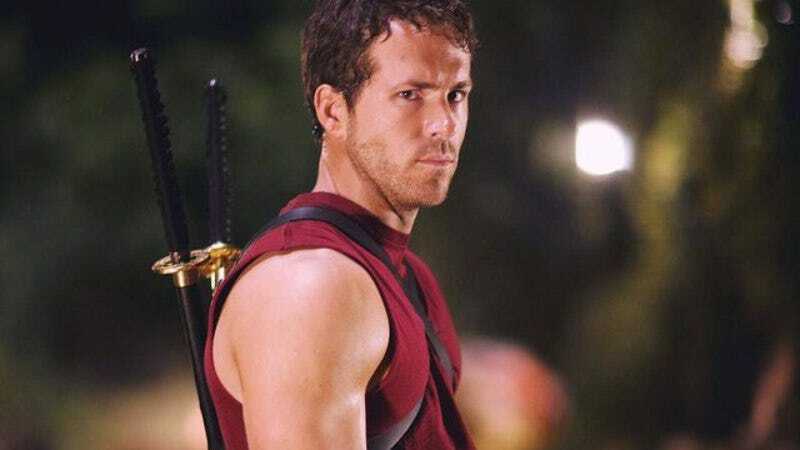 Ryan Reynolds is reprising his role as Wade Wilson/Deadpool, having portrayed him in 2009’s X-Men Origins: Wolverine. Tim Miller directs a script from Zombieland scribes Rhett Reese and Paul Wernic. Deadpool will be unleashed on theaters February 12th, 2016.